During colonial times, streets in New York City more often than not, got their names from the people who became landowners, served in local government, or those who would go on to become historically significant for some other reason. From landowners to Founding Fathers, the city’s streets have been named and renamed, but many have remained the same, honoring their original namesakes. The first street names in Manhattan were plotted on the Commissioner’s Plan of 1811, the original design plan for the streets of Manhattan. Initially a proposal by the New York State Legislature, it was adopted in 1811 in order to organize the land between 14th Street and Washington Heights for sale. Historians consider this design to be among the most famous uses of grid plans, calling it far-reaching and visionary. We most commonly know the names of street stops on the subway lines, such as Stuyvesant Street (named after Peter Stuyvesant, the last governor of New Netherland, who owned the land where the street is located), Fulton Street (named for inventor Robert Fulton, credited with inventing some of the world’s earliest Naval torpedoes), or Lexington Avenue (named after the Battle of Lexington, Mass., of the Revolutionary War.). But here are some equally important Manhattan streets and the figures behind them. Located in the NoHo District of Manhattan, Great Jones Street is named after Samuel Jones, a lawyer known as “The Father of the New York Bar” for his work in revising the New York state statutes in 1789. 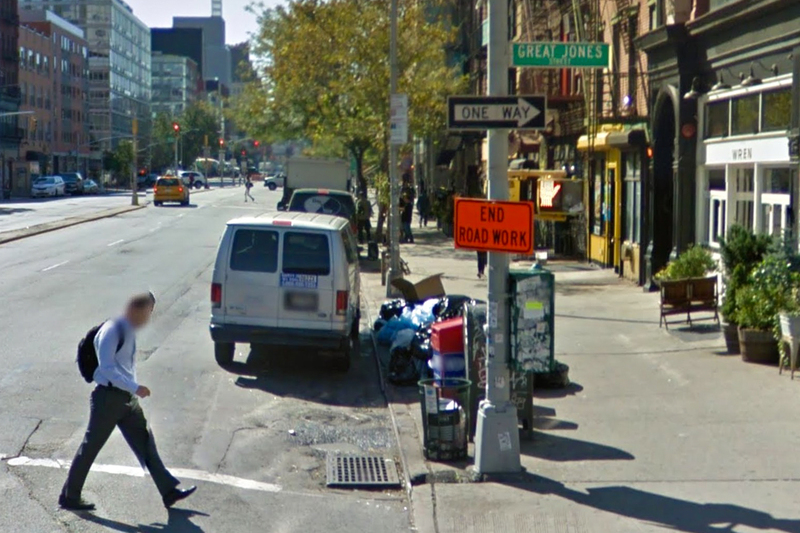 He got some help with this project from Richard Varick, who also has a SoHo street named after him. In addition to his legal accomplishments, Jones was a member of the New York State Assembly, he was the recorder of New York City, a state senator, and was the very first state comptroller. 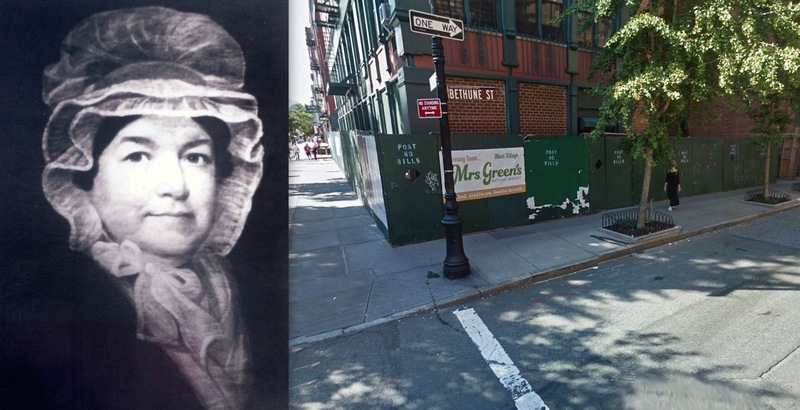 Located between Bank Street and 12th Street along the Hudson River, Bethune Street is named after Joanna Bethune nee Graham, credited with co-founding the New York Orphan Asylum. Bethune’s mother, Isabella Marshall Graham, a Scottish immigrant concerned about the plight of the poor, founded the Society for the Relief of Poor Widows with Small Children, in 1797. Her daughter had married a wealthy merchant, Divie Bethune, in 1795, which provided her mother with a funding source for her charitable endeavors. The Bethunes joined in the cause. In 1806, Joanna Bethune joined Mrs. Alexander Hamilton in founding the New York Orphan Asylum, which was located at Fourth and Barrow streets. Located between Sheridan Square and Canal Street along the Hudson River, Houston Street is named after William Houston, one of the nation’s Founding Fathers. 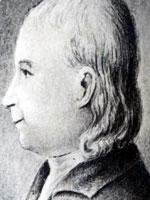 Houston served as the Georgia delegate to the Continental Congress and the U.S. Constitutional Convention. Houston came from a family of high officials who remained loyal to the British crown. But he was one of the first to support resistance of British advances. He is buried in St. Paul’s Chapel, New York City. Both streets located in lower Manhattan are named after Henry Rutgers, a colonel for the New York militia who never married. Rutgers’s home served as a barracks during the British occupation of New York in 1776. He devoted his later years to philanthropy, donating his land in the Chatham Square area for schools, churches, and charities. He is also credited with bailing out the faltering Queens College located in New Jersey, which is today known as Rutgers, The State University of New Jersey. Rutgers was finally buried at Green-Wood Cemetery in Brooklyn, after several reinterments. His original resting place was at Old Middle Church in Manhattan. Located between 193rd Street and 111th streets in Manhattan, Juan Pablo Duarte Boulevard is part of St. Nicholas Ave. and begins at 162nd Street. It is named after a Founding Father of the Dominican Republic, Juan Pablo Duarte Díez. Duarte Díez served as the first president of the new republic in 1844. He is credited with developing the Pan-American traditions of democracy and self-government that was the inspiration for the Avenue of the Americas (6th Avenue). The consulate of the Dominican Republic donated a statue of Duarte Díez, which stands in Duarte Square, a triangular plot bordered by Sullivan Street, Grand Street, and the Avenue of the Americas. NEW YORK—With a focus on street redesign and ticketing drivers, Mayor Bill de Blasio hopes to reduce traffic-related fatalities to zero in the next decade. New York City has a vibrant street vendor scene—you can get anything from a cup of coffee to a cellphone case from these more than 20,000 businesses.